The Royal Enfield Bullet is a source of considerable pride in India – as even the most casual conversation about them will soon tell you. Even with non-bikers, chests swell and that wonderful Indian idiosyncrasy the head wobble quickly lets you know you are on fertile and friendly ground. However in India they exude a similar charisma to that of a Harley in the USA and make their presence felt before you can actually see them with their distinctive exhaust note. 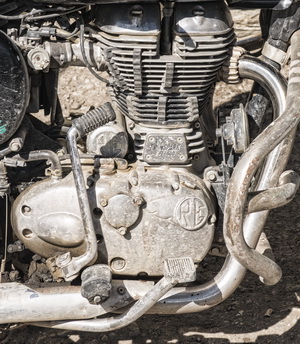 By the mid 1990’s the Bullet was looking distinctly dinosaur-like and declining quality along with poor sales took Enfield India to the brink of bankruptcy. Tractor and bus company Eicher assumed control in 1995 and invested in turning the company around as Royal Enfield Motors. Then in 2007 an all new aluminum unit construction engine (UCE) was released, effectively changing the game and making the Bullet reliable again, which brought a whole new lease of life to this Indian icon! 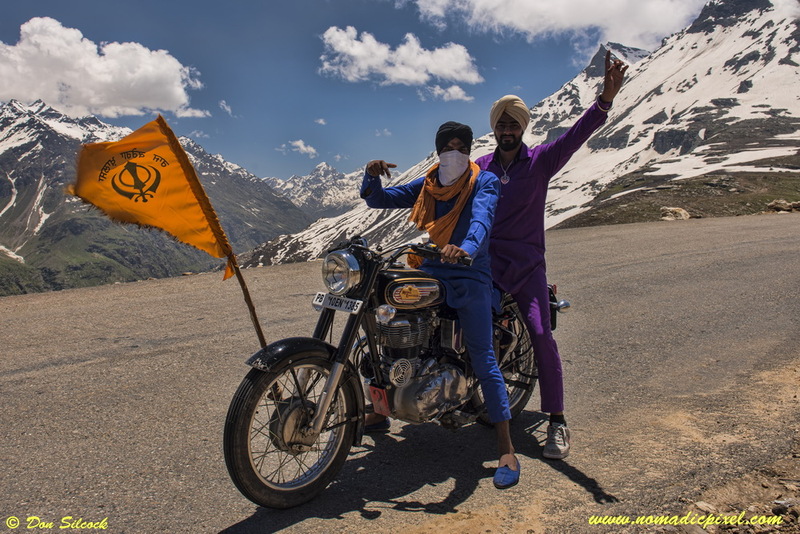 That said I have to admit that I had my doubts about the suitability of the venerable Bullet to our trip through the Himalayas, but they turned out to be ideally suited to the job in hand. The new Bullet, and its significantly improved reliability, has spawned a whole new cottage industry for bikers looking to explore the sub-continent on two wheels and there are now numerous ways to get to even the most remote corners of the country.